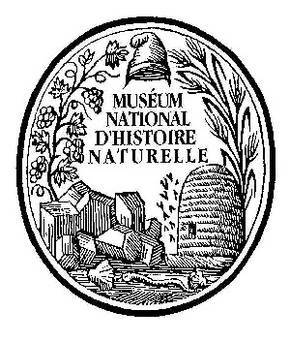 MNHN is a French public institution (Ministries of Education, Research and Environment) carrying out pluridisciplinary research in natural sciences: biodiversity, evolution of species, cell and molecular biology, biotechnology, conservation and environmental management. In addition to these research activities, MNHN is in charge of the conservation of important collections of mineral, vegetal and animal living and fossile species and of the constitution of the corresponding systematic and genomic data banks. Complementary to these activities, MNHN carries out teaching at upper universitary level and develops cultural and educational actions for the general public (galleries, aquariums, science exhibitions, etc.). It has approximately 1800 employees. The SEAFOODplus work will take place at the Marine Station of Concarneau. The Marine Station of Concarneau carries out research on the marine littoral environments, deep-sea fauna and on biochemical and molecular aspects of adaptation to marine life. Biotechnical developments of these research activities include expertise in environmental management, upgrading of fisheries by-products (enzymes, peptides), traceability and fish stock evaluation. A specific programme concerns the use of controlled enzymatic hydrolysis of fish and crustacean proteins for generating bioactive molecules of nutraceutical interest: calciotropic peptides, gastrin-like peptides, growth factors. The research in this domain includes purification, biochemical characterisation and determination of physiological activity of the isolated substances. Molecular traceability of fishes and fish stocks takes advantage of the existence of type collections of fishes at the MNHN and is based on the constitution and use of the corresponding DNA databases. Dr. Martine Fouchereau-Peron (project 4.1 PROPEPHEALTH).